Hello and welcome my new fellow readers, my name is Rj and I wanted to start off our blog journey with a lovely book review of a novel that caught my attention. 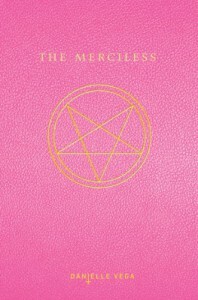 As you can see from the book art, I’ve chosen to review the terrifying yet fabulous, The Merciless by Danielle Vega. If you love the notorious equation of: Queen Plastics + The Exorcist of Emily Rose Part 2 (Non-Existent), then this is the book for you. True Story, morning glory, Marlene King, one of writers of the television series, Pretty Little Liars, is set to adapt it into a feature film. Marlene and I go way back since freshman year of high school (the premiere of season 1 of PLL.) So when I saw her post about the project, I knew my girl had scoop up a novel worth reading and indeed it was. Vega delivers an exceptionally horrified novel that ties into our lovely filmmaker’s advice of “give me the same, but different” genre. As she already knows that our world loves and craves teenage drama filled with the same cheating attractive yet somewhat incompetent boyfriends and scandalous backstabbing friends, who we always point out in the beginning. Vega’s story different though, it’s what our teenage egos want to hear, but in a completely different atmosphere of pain, torture, a little Exorcism here and there, with a dash of a major plot twist towards the end. Vega’s choice of terrifying diction captures the reader’s divided attention to the point where they have to keep reading to see what happens next. This woman can describe a pen stabbing so harsh I felt like I had to get bandages for my non-existent wounds. It’s true, she loves to tell the tale of horror and you think she’ll hold back, but just you wait. I personally went in thinking I would not get scared, I was wrong. Do not let the Fab 3 fool you. Everyone awaits the notorious exorcism scene, and I am letting you know now Vega does not disappoint. It is literally 2/3’s of the novel, something I was shocked to discover. She gave us what we feared and wanted to read, a horror combination. I will not go into details, since I believe it’s worth your eyes to venture into Vega’s mind. Overall, I give The Merciless a solid 3.5 out 5 stars, I felt like I was in a baseball game, stuck in second base trying to make it to third after every page. Until it ended, striking me out and off I go seeking another novel to read. (If that makes any sense to you.) Also, it’s worth to mention, I absolutely loved Vega’s idea and it did capture a valuable audience, who I know are eager and awaiting to see her pages come alive in theaters. I will definitely pick up the sequel to this horror show, I am curious to see what direction Vega has in store for Sofia. I recommend this book for your guilty teenage-angsty pleasure section in your bookshelf. 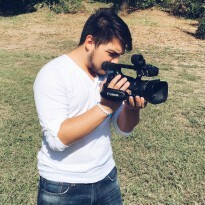 this is my Book Life as Rj. P.s. Picture the cast of Mean Girls with these characters, have fun with it, Cady Heron. P.s.s. Next novel I plan on reviewing is the infamous Gone Girl by Gillian Flynn. Get ready because this book has a twist worth a little praising over. P.s.s.s. If you got this far, I love you for putting up with my horrible writing. I can only get better from here. Love you.